Urgent!!! Protect your Right to a Safe Food Supply and a Healthy Environment. Act TODAY! Below is a news release from Food Democracy Now! that reveals a concerning provision to be considered by the House of Representatives THIS WEEK that takes away the federal court’s ability (and constitutional mandate) to stop the planting and sale of genetically modified crops (GMO crops) during a legal process of appeals when the safety of these foods, our rights as consumers, and the health of the environment are in question. Please take action today to protect your rights to healthy food before corporate profits. This week the House of Representatives will consider a provision to House Agricultural Appropriations Bill that will fundamentally undermine the concept of judicial review. Hidden under the guise of a “Farmer Assurance Provision” (Section 733), the provision strips the rights of federal courts to halt the sale and planting of genetically engineered crops during the legal appeals process. In the past, legal advocates have successfully won in court the right to halt the sale and planting of unapproved GMO crops while the approval of those crops is under review by a federal judge. This dangerous new House provision, which were calling the Monsanto Protection Act, would strip judges of their constitutional mandate to protect consumer rights and the environment, while opening up a floodgate of planting of new untested genetically engineered crops, endangering farmers, consumers and the environment. Once again, Monsanto and the biotech industry are working behind closed doors to undermine your basic rights. This time they’ve gone too far! 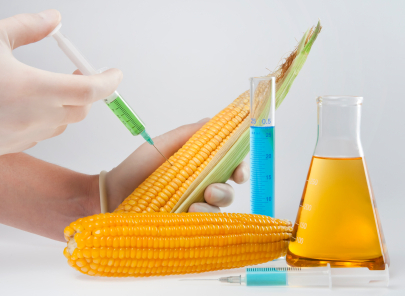 Join us in putting a stop to the Monsanto Protection Act! This entry was posted on Wednesday, June 27th, 2012 at 8:34 pm and is filed under agriculture, Industry News, News, organic foods. You can follow any responses to this entry through the RSS 2.0 feed. You can leave a response, or trackback from your own site.